A rule that has held up well is that successful traders tend to look at unique data and look at common data in unique ways. It's pretty difficult to distinguish ourselves from the herd if we're part of what the herd is looking at and listening to each day. Some of the best traders I know view unique data uniquely. That means they're looking at things others aren't. Above we see an indicator created by tracking every stock listed on the NYSE and whether it is giving a buy signal, no signal, or a sell signal on the Parabolic SAR system created by Wilder. The indicator, in red above, simply cumulates the buy signals minus the sell signals and keeps them as a running total, like an advance-decline line. I scrape the raw data from the excellent Stock Charts site daily. The indicator provides a useful sense of overbought and oversold. More to the point, when values have been in their strongest quartile since 2014, the next 20 days' return has been superior. That's a momentum effect. 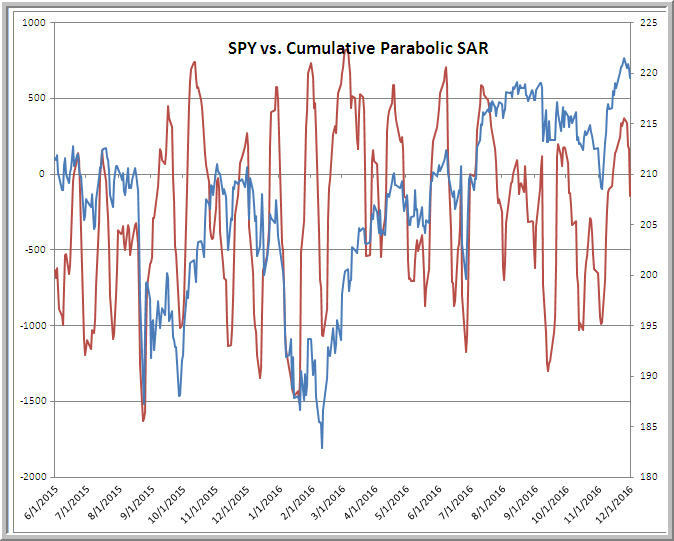 When the values have been in their weakest quartile, we've also seen a superior average return over a 20-day period. That's a value effect. The trajectory of the cumulative measure acts reflects the cyclical nature of market movement, with returns shifting between value and momentum at various phases of market cycles. Note that we've shifted downward from a peak in the measure recently and have been heading lower, though are not yet near oversold territory. Thinking of market movement in cycles has helped me frame when I expect prices to trend and when I expect mean reversion. 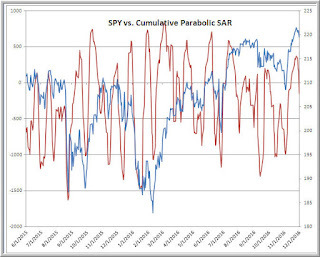 Tracking cyclical behavior over time has been useful in identifying longer-term market strength and weakness. Perhaps most of all, having a cycle framework means understanding that no market move will last forever. "This, too, shall pass" helps place many things in a useful life perspective. Momentum in the Market: Trade It or Fade It? What is Your Recovery Plan After Trading?